We started our journey last year as new beekeepers with a hive we purchased from Craigslist. I created this blog to document that journey. Here we are a year later. Our hive last year did not survive. We learned basic hive maintenance, experienced pitfalls and setbacks, learned how to handle each one and I wrote about it all the way. This year, we are certainly smarter in the ways of beekeeping. 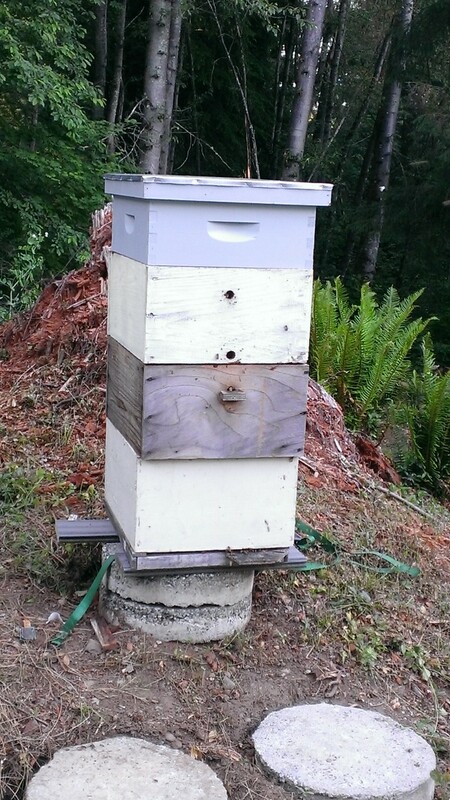 We’ve started anew with three hives. My husband, son and I all claim one of the hives, though we are very much beekeeping together. There is a bit of competition, but we all look after each other’s hive too and I know that the bees are better off for it. Since installing our packages, we have done three inspections and everything is progressing as it should. 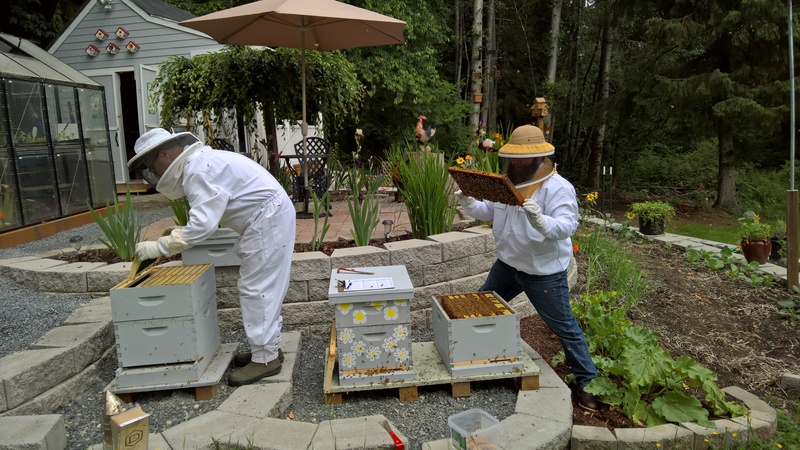 Last year, I blogged about every inspection and activity with the hive. This year, that seems too repetitive as the same activities happen in each inspection. So instead, this year I want to start writing up the processes of each of the hive activities. I want to build up an easy to understand library of techniques on what to do for the different standard activities as well as for the different pitfalls and setbacks that can happen in the hive. I will write up what we have learned so far in this new format and will also write up everything new that we encounter. Dave and I learn new things all the time through our participation in the local bee club, conversations with other beekeepers and the research I do on the internet from the world wide community of beekeepers. I plan to document what I learn in an easy to follow format, both for my benefit, so that I have it for future reference and for you, the wider beekeeping community, so that you have a place to check that will become a comprehensive how-to guide for beekeepers. This is my aspiration. I’d love your feedback along the way. This is my contribution to you and the bees that we love and care for. 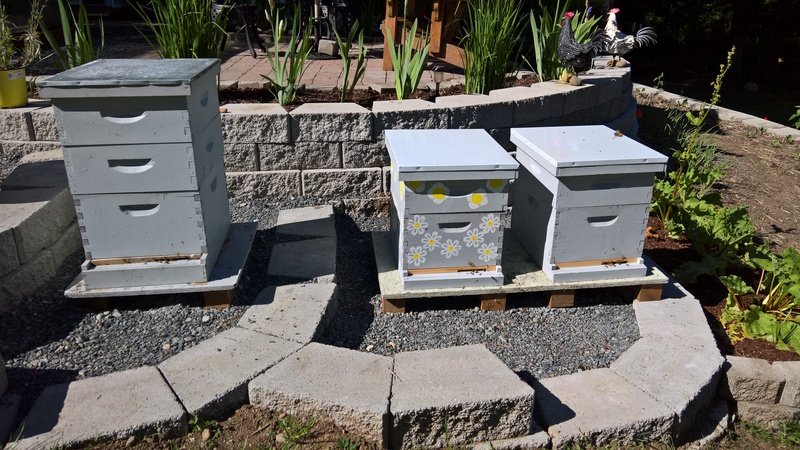 Gallery | This entry was posted in Bees and tagged Beekeeping. Bookmark the permalink.